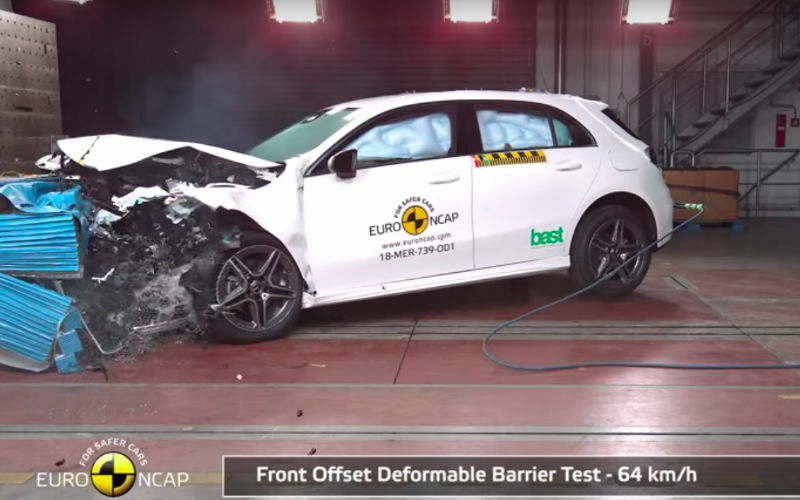 The new Mercedes-Benz A-Class topped the list of the safest cars among those tested by the European New Car Assessment Programme (Euro NCAP) in 2018. The Mercedes-Benz A-Class obtained the best overall safety rating, ahead of the Lexus ES and the Audi Q3. In the child occupant protection category, the small sedan obtained the highest score of 91% (a tie with the Mazda 6), and also led the field in safety for other road users such as pedestrians and cyclists, with a score of 92%. The Volvo XC40 topped the adult passenger protection rankings with a score of 97%, while the Audi Q3 led the field in terms of safety assist features with a score of 85%. The Mercedes A-Class has thus been ranked the safest small family car, while the Hyundai Nexo emerged as the safest SUV. The Lexus ES was the large family car leader as well as the best-ranked contender in the hybrid and electric vehicles category. The majority of the models (16 of the 23 vehicles tested this year) were awarded five stars, and most of the others received four. Only one model did not obtain a star, the Fiat Panda which was the lowest-ranked in all four test categories.